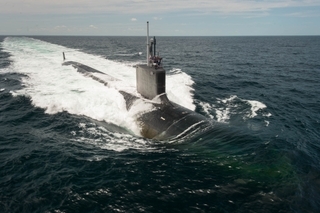 NEWPORT NEWS, Va., June 25, 2015 (GLOBE NEWSWIRE) -- Huntington Ingalls Industries' (NYSE:HII) Newport News Shipbuilding division delivered the submarine John Warner (SSN 785) to the U.S. Navy today. The Virginia-class submarine, the first to be named for a person, was delivered two and a half months ahead of schedule. "This submarine embodies the spirit of Senator Warner and symbolizes his unwavering support for the Navy and the shipyard," said Jim Hughes, Newport News' vice president of submarines and fleet support. "It's truly special to have a boat named after a living person, and we as shipbuilders are proud to deliver John Warner to the Navy because this submarine will continue Senator Warner's enduring legacy." 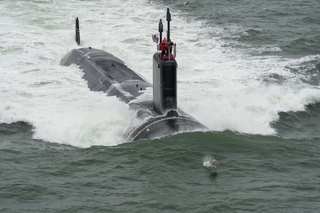 John Warner is the 12th Virginia-class submarine and the sixth to be delivered by Newport News. 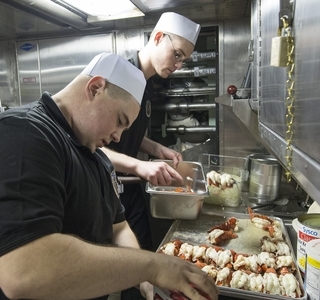 Nearly 4,000 shipbuilders have worked on the submarine since construction began in 2010. The submarine was named for John Warner, who served as Secretary of the Navy and represented Virginia in the Senate for 30 years. John Warner was christened by Senator Warner's wife, Jeanne Warner, on Sept. 6, 2014. Commissioning is scheduled on Aug. 1. "Today, we are excited to join the operational fleet and to bring Senator Warner's legacy back to the Navy, carrying on his tradition of service to our nation," said Cmdr. Dan Caldwell, the submarine's commanding officer. "The crew and the ship have performed exceptionally well during the acceptance trials, and we are prepared and excited to conduct the operational missions which await us." 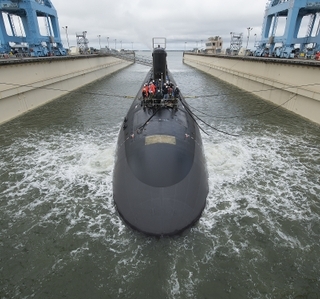 Newport News is teamed with General Dynamics Electric Boat to build Virginia-class submarines, which use advanced technologies to increase firepower, maneuverability and stealth. The 377-foot-long submarines are capable of submerged speeds of more than 25 knots and can stay submerged for up to three months at a time.